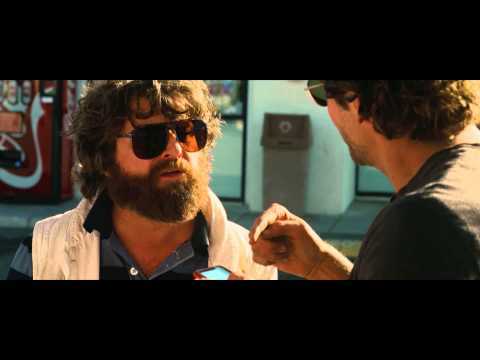 "The Hangover Part III" movie quotes bring the comedy film series fill circle with the third and final installment. 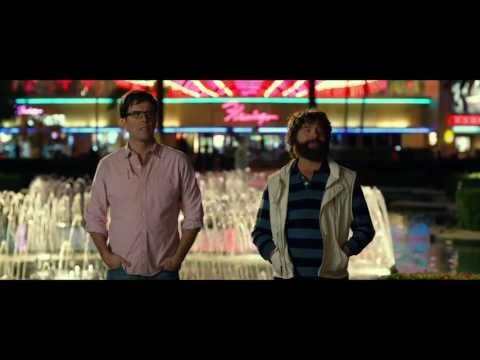 Written and directed by Todd Phillips with Craig Mazin co-writing, "The Hangover Part III" brings the Wolf Pack back to Las Vegas where "The Hangover" first began. 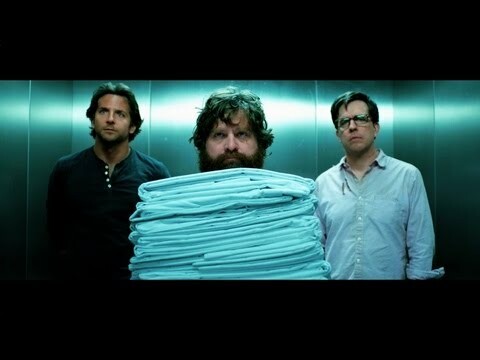 To beat the Memorial Day crowds, "The Hangover Part III" opened in the United States on May 23, 2013. In "The Hangover Part III," the family gathers when Alan's (Zach Galifianakis) father (Jeffrey Tambor) passes away. This causes Alan to stop taking his medications and spiral out of control. Doug (Justin Bartha), Phil (Bradley Cooper), Stu (Ed Helms) and other family members gather to give Alan an intervention. They convince Alan to enter New Promises and the four men set off to drive Alan there. Along the way, their car is ambushed by Marshall (John Goodman) who is looking for Mr. Chow (Ken Jeong) after Chow stole 21 million dollars. Marshall takes Doug as collateral leaving Alan, Phil and Stu once again on a quest to rescue Doug. Their adventures takes them back to many familiar faces like Mr. Chow, Black Doug (Mike Epps) and Jade the stripper (Heather Graham) plus a few new characters such as Cassie (Melissa McCarthy). "The Hangover Part III" kicks off a summer 2013 movie season filled with hits following other movies released early in the year such as "The Great Gatsby," "The Big Wedding," "Oblivion," "Scary Movie 5," "Evil Dead," "Jurassic Park 3D," "G.I. Joe: Retaliation," "Olympus Has Fallen," "Admission," "The Incredible Burt Wonderstone," "Emperor," "Dead Man Down," and "Oz: The Great and Powerful." Alan: "My name's Alan and I bought a giraffe! Oh, my life is great!" After purchasing a giraffe, securing it in a trailer being pulled by his car, and getting on the highway, Alan thinks his life is grand. That is until he drives under an overpass causing a huge car crash and beheading the poor animal. Stu: "I told myself, I would never come back." Phil: "Don't worry, it all ends tonight." Stu: "Someone needs to burn this place to the ground. This is the worst place on earth." Alan: "I know, right? So many good memories." Stu reflects on their less than great history in Las Vegas. Alan however has other memories of their time in Sin City, very fond ones. Phil: "What are we gonna do, Stu?" Stu: "We're gonna go to the police." Phil: "Oh no we're not. Did you hear that guy? He will kill Doug, period. Chow is a cancer. He's been a cancer since the first day we met him. So we're gonna hand him over to this guy, Marshall, and then it's done." Phil: "Alan, not now. But I need you, Stu. I can't do this alone." Stu: "Do what alone? We have no idea where he even is." Alan: "Well I was just going to say I got a strange email the other day. I wasn't sure what it meant but now I think it might be from Chow." Phil: "'Fatty, feels good to be out. I'm close by. Tell no one. I'll be in touch. Chow.' This says Chow. How did you not know this was from Chow?" Alan: "At the time I thought it was ciao like goodbye. You know like ciao, arrivederci, Sbarro, Papa John's." Phil: "I'm writing him back." Stu: "Whoa, wait. Just hold on." Phil: "I'm going to tell him that you're happy he's out and that you'd love to see him." Alan: "Oooh, I would love to see him." Stu: "Do you even know what's going on?" Alan: "Yes, I do. Phil's doing all the work, I'm his assistant and you're standing there looking like an idiot." Following Doug's abduction, the rest of the Wolf Pack strategize at a gas station about their next move. Alan provides a solution to finding Mr. Chow, through an email he recently received, though his confusion about the email's sender is pretty hilarious. Alan: "I can't believe my daddy is dead. I can think of so many people I'd rather have died first, like my mother." Doug: "Apparently Alan's been off his meds for about six months." Stu: "Oh God, look at him now." The death of Alan's father and following funeral sets off a chain of events from which the rest of the movie follows. As a result of losing his father, Alan goes off his meds forcing the other guys to step in and help him.